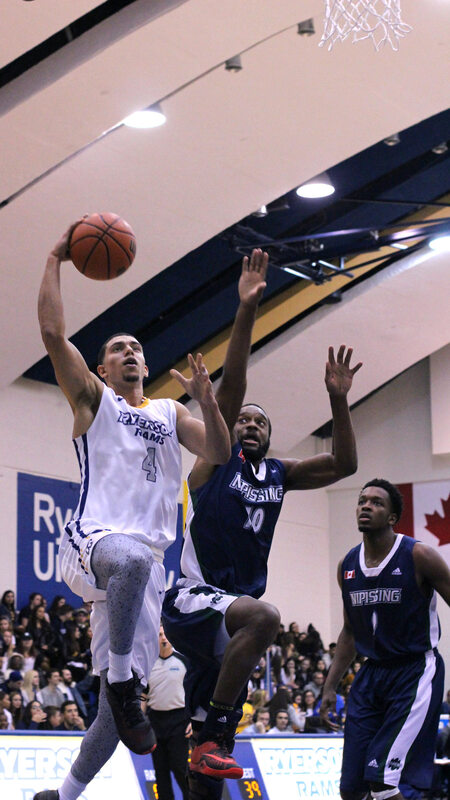 Ryerson’s men’s basketball team survived a fourth-quarter surge to beat the Nipissing Lakers 84-64 in the Rams’ home opener at the Mattamy Athletic Centre on Friday night. 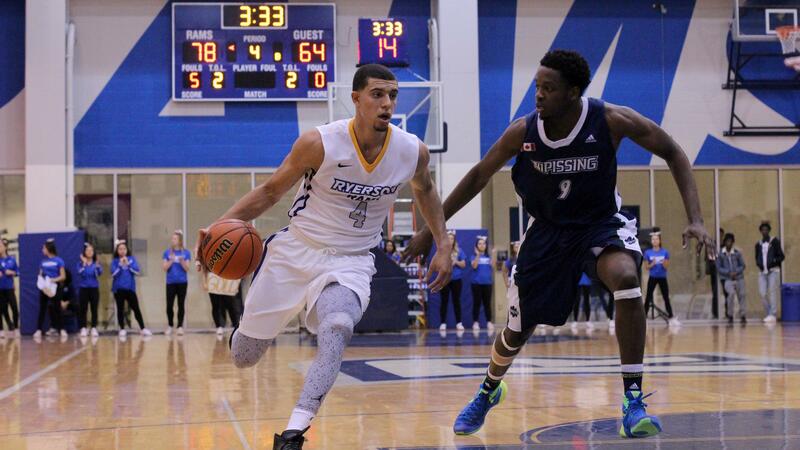 The win gives Ryerson a 2-0 start to the year. 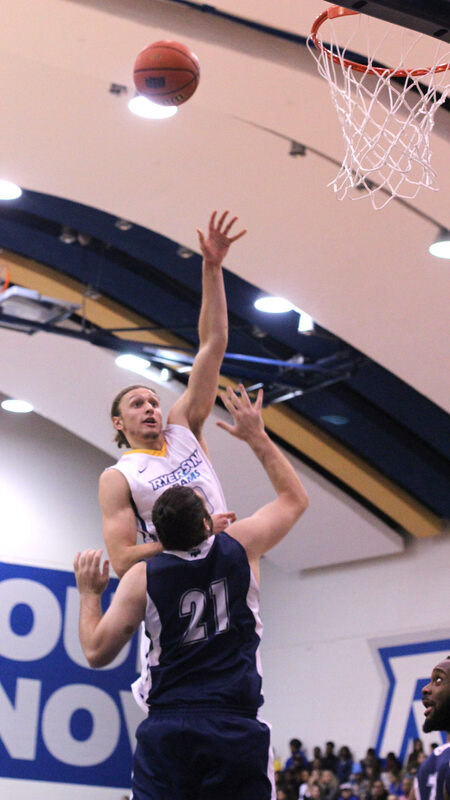 Trailing 73-41 heading into the final quarter, the Lakers started the fourth on an 8-0 run against the defending OUA champs, outscoring them 23-11 in the frame. 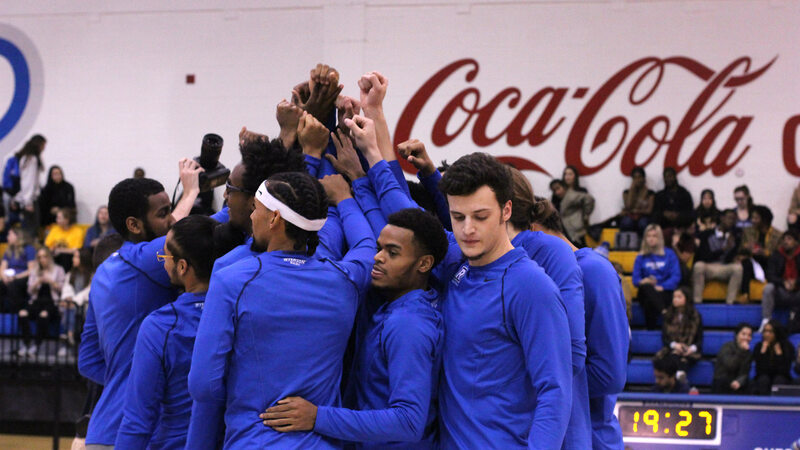 The Rams had looked to be in complete control before the fourth quarter, using a 7-for-15 shooting percentage and a perfect six-for-six from the free throw line in the third quarter to build on their 52-26 halftime lead. Guard Adika Peter-McNeilly paced Ryerson with a double-double in 32 minutes of play, scoring a game-high 18 points to go with 10 rebounds, nine of which were defensive boards. 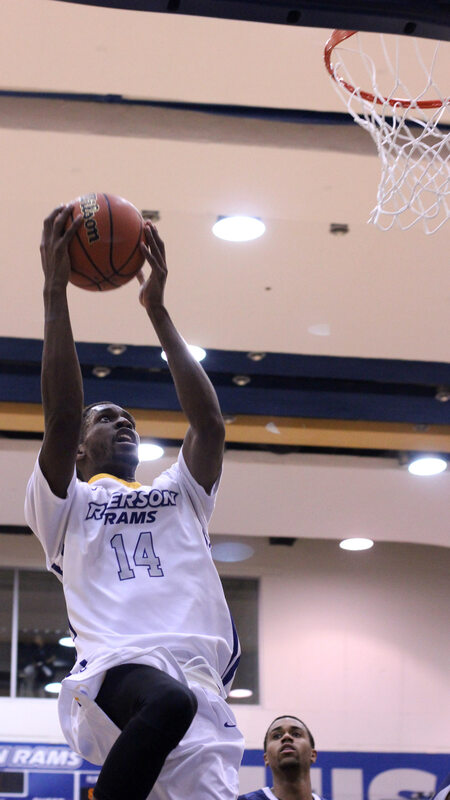 Forward Keevon Small led the Rams with 11 boards in 28 minutes played, while forward Filip Vujadinovic added 13 points in just 13 minutes of play off the bench. 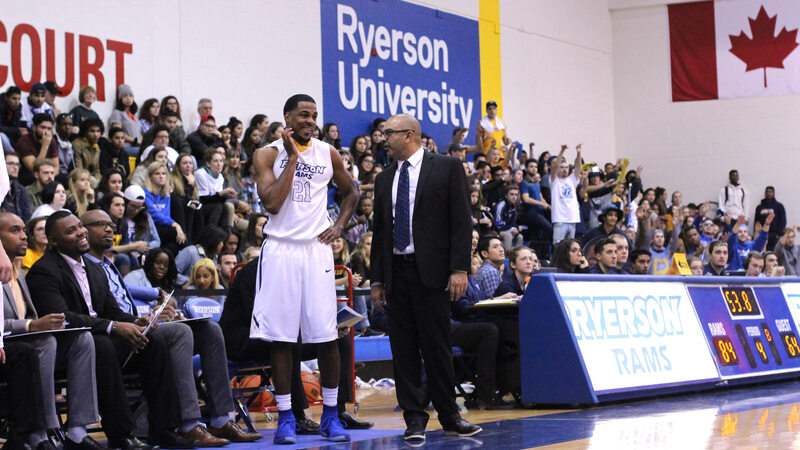 Ryerson fed off the electric home crowd early, opening the game on a 10-0 run. 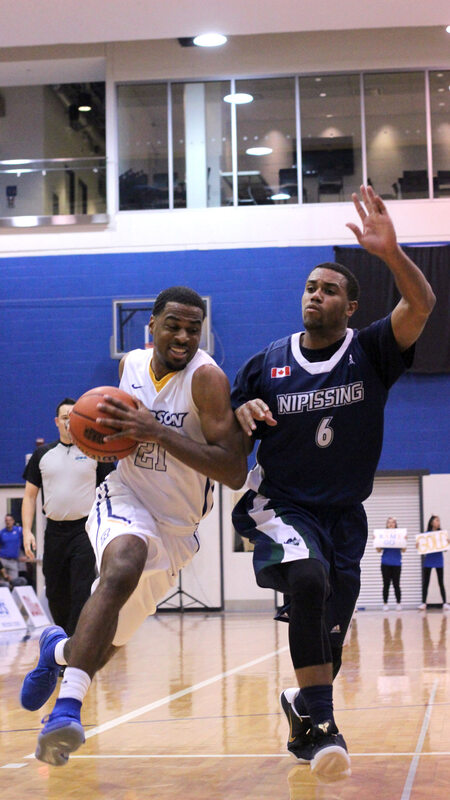 Although Nipissing had 46 total rebound to Ryerson’s 40, the Rams were dominant down low, outscoring the Lakers 42-16 in the paint. The Rams shot efficiently for much of the night, making 47.4 per cent of their first-half field goal attempts, while the Lakers converted on just 23.1 per cent of theirs. But it was a different story in the fourth quarter, when Ryerson converted on just 25 per cent of its field goal attempts. 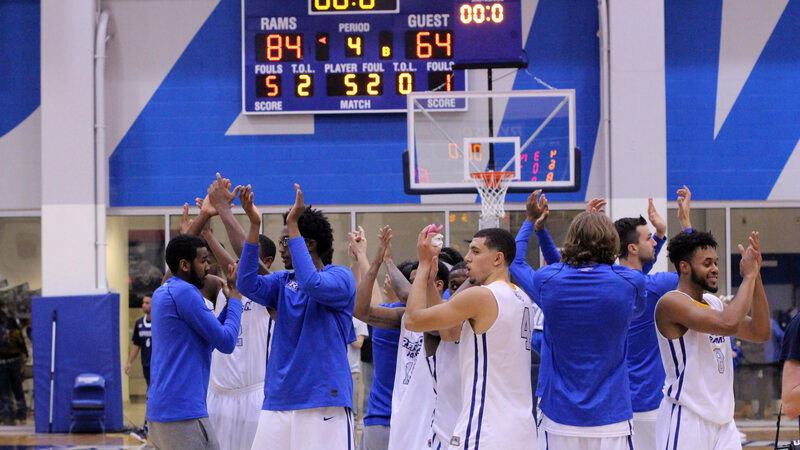 The Rams also found themselves in some late foul trouble, collecting their fifth team foul of the quarter with four minutes left in the fourth to put themselves in the penalty while the Lakers hadn’t recorded a foul in the frame. UP NEXT: The Rams play the second of back-to-back home games against Laurentian on Saturday night at the Mattamy Athletic Centre. Tip-off is at 8 p.m. There will be a banner-raising ceremony prior to the game, honouring Ryerson’s 2015-2016 men’s and women’s basketball OUA championship wins.